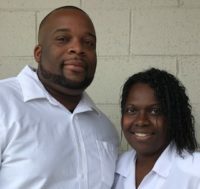 Reverends Eddie & Miranda Moseley are the Assistant Pastors for Christ Gospel Church Of Tacoma. They assist Elders/Pastors McGriff in various areas of responsibility for the church operations so that the Holy Spirit and Word may move freely according to the Will of God. They oversee the Married Couples Fellowship and the Men & Women Fellowship class. They are case workers for the Northwest Furniture Bank for the surrounding area of Pierce County helping to restore hope, dignity, and stability in the community by helping families who are in need of furniture. As part of their preparation for Ministry, they have accomplished and completed the Overcomers Program for the Christ Gospel Church Bible Institute. For more information, please contact the Reverends Eddie and Miranda Moseley at eddie.moseley@cgcnwcm.org / miranda.moseley@cgcnwcm.org or 253-584-3904. 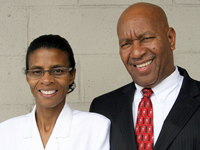 Reverends Robert and Elaine Harris have been members of Christ Gospel Churches around the globe for over 20 years. They are currently serving the Lord by ministering to the saints of the Oak Harbor Bible Study that meets every 3rd Saturday between 1:30 pm to 3:30 pm and the Wenatchee Bible Study that meets every 1st Saturday between 1:30 pm to 3:30 pm. The Reverends Harris faithfully travel three hours each way every other Saturday to share the Word of God with the brotherhood. They are seasoned leaders naturally and spiritually. 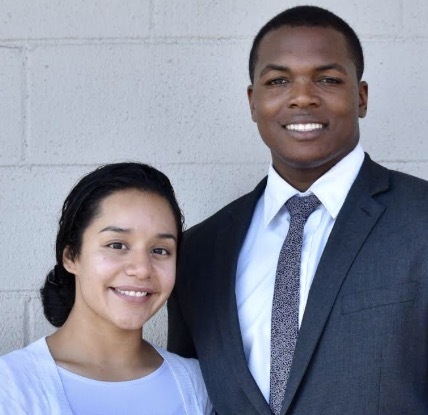 Prior to ministering at the Oak Harbor/Wenatchee Bible studies, they served as CGCNWCM Youth Leaders, Adult Sunday School Teachers, and Prayer Leaders. In May 2012, Reverend Robert Harris retired from the United States Army after 21 years of active service. Married for 20 years, they are eager to continue to grow and learn in the ministry that the LORD has called them. For more information, please contact Reverends Robert and Elaine Harris at robert.harris@cgcnwcm.org / elaine.harris@cgcnwcm.org or 253-584-3904. Reverend Jacqueline Humbert has been with Christ Gospel Church of Tacoma for 22 years under the leadership of Elders/Pastors Herman and Tonja McGriff. God has anointed her as an Evangelist and the Director of the Outreach Ministry. In the Outreach Ministry, she has the great privilege to meet many different people from all over the world. Her goal for the Outreach Ministry is to go out and lead people to Christ. For more information, please contact the Reverend Jacqueline Humbert at jhumbert@cgcnwcm.org or 253-584-3904. Minister Austin Williams was born and raised in Tampa, Florida in the message. He has a love and desire to serve and please the LORD through music and being an example to those around him. He is currently serving in the Air Force. Minister Berenice Williams was born and raised in Oregon. She has experience working with young children of all ages and is the Executive Administrator and Translator for the Hispanic Churches in the North West Coast Ministries. As a young married couple, They strive to be examples to the younger generation. They believe that their experiences in life has prepared them to help our young people and instill in them a sense of self worth and value, but most importantly kindle a love relationship with Jesus Christ our Lord and Savior. They are so grateful for the opportunity to work with and love on all our youth. For more information, please contact the Ministers Austin and Berenice Williams at austin.williams@cgcnwcm.org / williams@cgcnwcm.org or 253-584-3904. 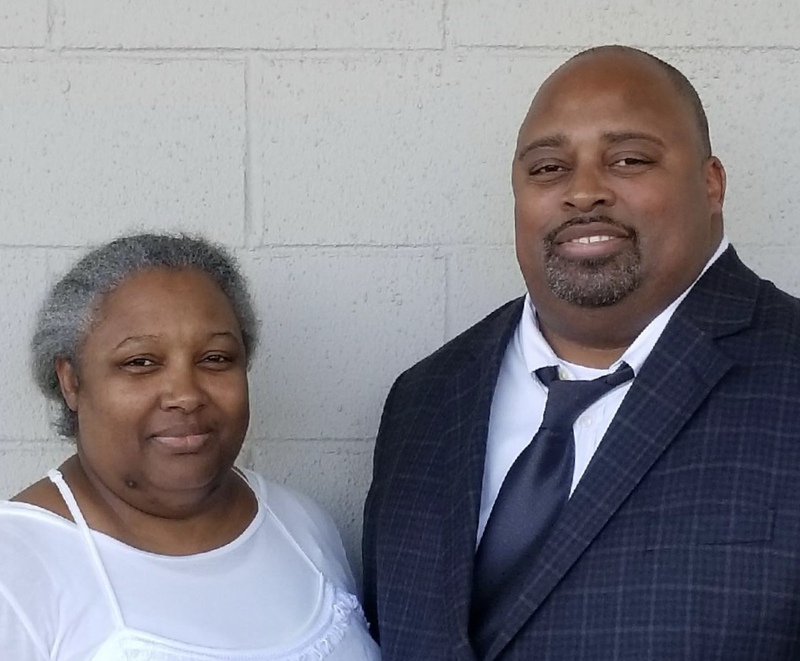 Ministers Karl and Vivien Lee has been with Christ Gospel Church of Tacoma for 22 years under the leadership of Elders/Pastors Herman and Tonja McGriff. For more information, please contact the Ministers Karl and Vivien Lee at karl.lee@cgcnwcm.org / vlee@cgcnwcm.org or 253-584-3904. Minister Gross serves faithfully behind-the-scenes, organizing activities such as parties, weddings, fundraising, birthday and anniversary celebrations, scheduling church cleaning, and preparing for youth classes. 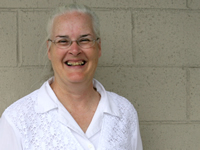 She oversees the Sunday School classes in both Tacoma and Portland and teaches the kids during Church service. Minister Gross has been called to this message since 1980. She and her husband share the duties of grandparents to 15 grandchildren and strive to let their lights shine for Christ. For more information, please contact the Minister Miki Gross at miki.gross@cgcnwcm.org or 253-584-3904. 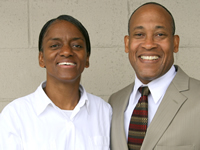 Ministers Keith and Tonya McMillian started with Christ Gospel Church of Tacoma in 1994 to 2004. They were married in 1995 by Elders/Pastors Herman Sr. and Tonja McGriff. Minister Keith McMillian has served as Treasurer, Prayer Leader, Audio Worker, and Sunday School Superintendent/Teacher. 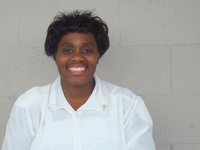 Minister Tonya McMillian has served as the Secretary and the instructor of the Single Ladies Fellowship Group. The LORD inspired Minister Tonya McMillian to begin the monthly newsletter called “The Brides Message”. They returned in 2017 to once again serve at CGCNWCM. Ministers Keith and Tonya McMillian are currently serving as the Directors of the Outreach Ministry and oversee the Building Committee. Minister Keith McMillian assist with the treasury duties. Minister Tonya McMillian oversees the newsletter “The Brides Message” for the Northwest Coast Ministries. They have a strong desire and commitment to please God, our Father, the LORD Jesus Christ, our Saviour, and the Precious Holy Spirit, our comforter and guide to stay within the Father’s Purposive Will and Master Plan under the leadership of Elders/Pastors Herman and Tonja McGriff. For more information, please contact the Ministers Keith and Tonya McMillian at mcmillians@cgcnwcm.org or 253-584-3904.